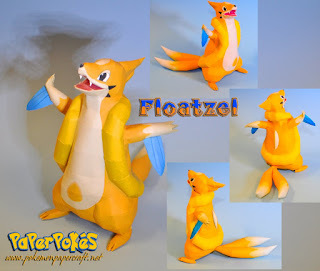 Interesting Facts: Floatzel appears to be based on an otter or weasel, with two pointed blue fins on its arms and two tails, as with its pre-evolution, Buizel. The yellow flotation device it had as a Buizel appears to have grown and now functions as a boat. It gives the impression of a swimmer with a towel draped around its shoulders. 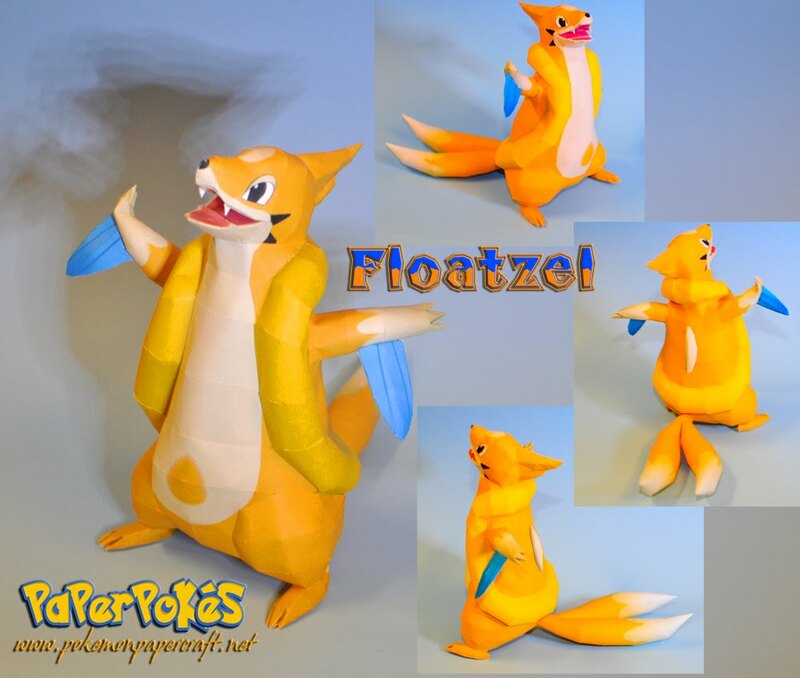 If Floatzel laid on its back, the structure round its neck could also be interpreted as a sort of inflatable dinghy using its tails much like its pre-evolution, as a propeller and its fins as oars. The small fins on Buizel's forelimbs have grown into fully-fledged fins that are used for Razor Wind attacks. Its forelimbs and tails are tipped with cream coloration, and there is a teardrop-shaped orange pattern voided in Floatzel’s cream lower belly. Floatzel also has a circular cream spot in the center of its head, cream-colored eyelids and a pattern of two black triangles on the edges of its cream muzzle, unlike Buizel. NOTES: Follow the numbers while building, and refer to the pdo if possible. Build from the head down, completing the tube, then the back before closing the bottom. Attach the tails before making the legs, and close at the bottom of the feet. Print piece 38 twice in order to build it as a different gender (Male=2 spots, Female=1 spot). I like its design a lot, and you guys (well, Brandon) did a great job getting it in 3D paper form! P.S. Are you planning on doing more papercraft of Pokemon moves? Like a Substitute Doll, etc.